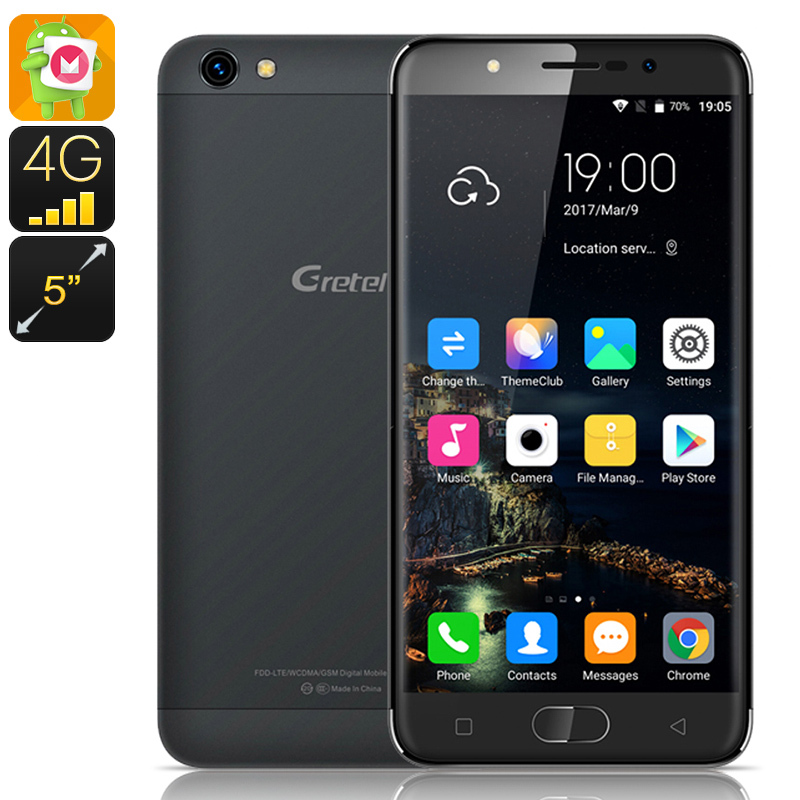 Successfully Added HK Warehouse Gretel A9 Smartphone - Android 6.0 OS, Quad Core CPU, 2GB RAM, Fingerprint Scanner, 4G, Dual SIM (Black) to your Shopping Cart. The smart looking phone proves you don't have to spend big to get premium quality. with its precision finish and high end looks the 4G Gretel A9 phone brings a superb performance and unbeatable prices. A 5-inch screen with 2.5D curved glass serves up HD images with bright vivid quality that makes gaming and movies fun. There is a front fingerprint scanner for improved security so you can access the phone effortlessly without having to recall pass codes or screen patterns. This cheap Android phone delivers a seamless performance thanks to the quad-core MT6737 CPU and 2GB of RAM which ensures games, movies, and multitasking are handled without delay or lag. With support across 2G, 3G and 4G networks this Android phone lets you stream movies in HD so you can enjoy great content on the go. There is also 16GB of onboard memory which should be enough for most users, but should the need arise you can add up to 32GB more via the micro SD card slot. When not used for extra storage you will be able to enjoy dual SIM card support so now managing work and personal contacts on one device is quick and easy, you can also avoid roaming charges or improve network coverage by making use of two SIM card contracts on different networks. An Android 6.0 OS not only ensures a user-friendly interface but comes with a rich array of features including a smarter personal assistant and improved navigation and settings menus for an intuitive user experience. A rear 8MP camera that with interpolation can snap 13MP images brings premium photo and videos letting you capture all the precious moments in life. A built-in 2300mAh battery ensures you'll get a days worth of usage without having to worry about running out of juice. The Gretel A9 Android phone comes with 12 months warranty, brought to you by the leader in electronic devices as well as wholesale mobile phones and smartphone accessories..